If you’ve been reading my blog for a while you’ll know my love for all things galaxy inspired and all things spacey. But if you’re new, I should probably say that I love it all that much I used the theme for my final major project at uni where i designed a made a 6 piece collection. 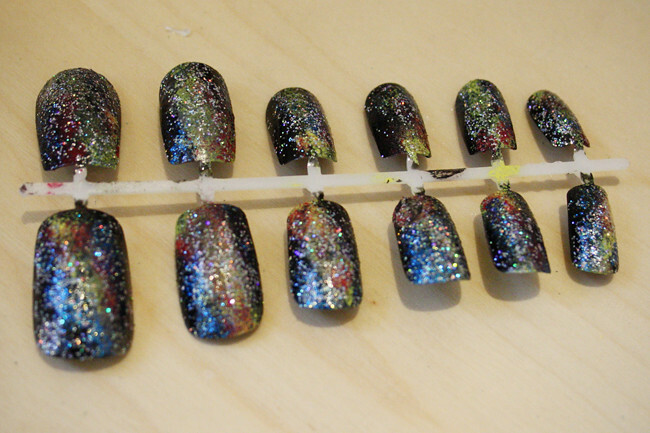 So it makes sense to finally make myself some galaxy nails. I know there are so many ways to do it, and there are so many tutorials about but if anyone’s interested in how I did it then just carry on reading! 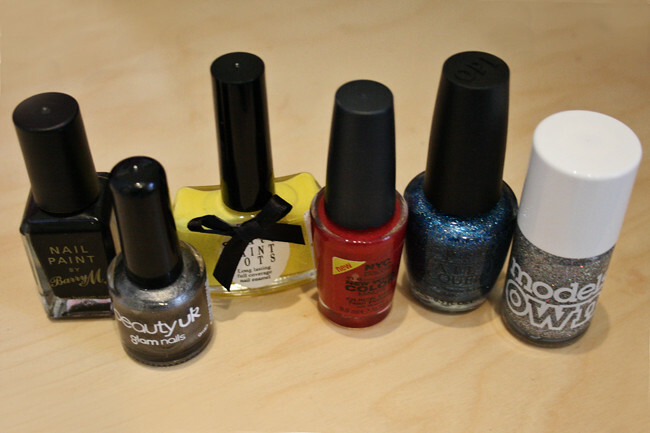 Below are the polishes i used. 1. Paint nails either dark blue or black – this will be your base. 2. Take any kind of soft sponge (i used a make up one) and from one corner to another sponge on the silver in a diagonal line. 3. Repeat the process with the yellow over the top of the silver. 4. Take your pink or red and use the same method making sure you blend them all in. 5. Around the outside of the pattern put your blue blending out towards edges. 6. Paint over the whole nail with your sparkle nail polish, this will create the stars. Et Voilà! You now have your galaxy nails! 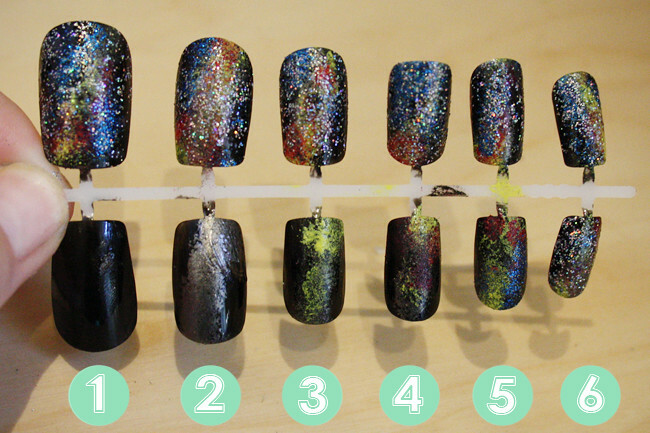 Love this tutorial, seen lots of galaxy nails on blogs so it'll be good to give it a go. great tutorial, they look lovely! Love them, they look great! Good tutorial! theyre so pretty, definitely trying this out on my nails! I keep meaning to do galaxy nails - great diy though, I like how you've done them on fake nails so it's easy to see the steps! 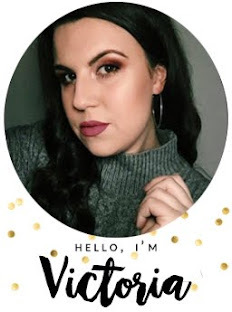 Take a look at mine here! Ohh these look great! I keep seeing people but never knew how to do them. These look great and easy to do! This is one of the simplest tutorials I've seen for this. Love that you showed each step.